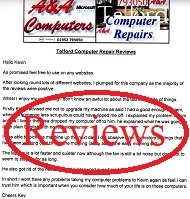 Our dedicated Telford Computer Repair website offers Telford Computer Support including Telford Office Computer Repair and Telford Home Computer Repair. 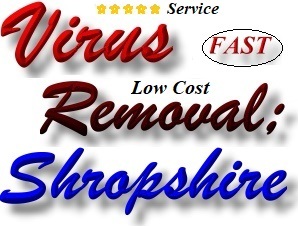 A&A Computer Repair offer Laptop, Netbook, Tablet and PC virus removal and (if necessary) a full data recovery and reinstallation service in Albrighton, Bridgnorth, Broseley, Dudley, Market Drayton, Much Wenlock, Newport (Shropshire), Shifnal, Shrewsbury, Telford and Wellington (Telford Shropshire). Please note that most areas except Albrighton, Broseley and Much Wenlock now have their own pages which deal with screen installation.